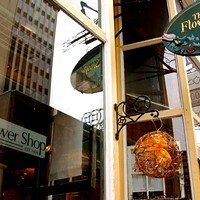 Katie Morrison of Granville Street's The Flower Shop didn't always have a knack for growing things. 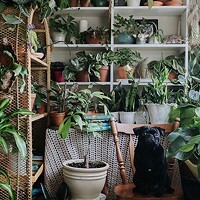 "It took me a long time to figure out how to take care of plants. I didn't grow up in a house with plants. My mom just had this same fern in the corner for like, 20 years," she remembers with a laugh. While today her thumbs are thoroughly green—so much so that she'll be equipping her newly purchased home with special window shelves for all her plants— Morrison knows the pain of wondering if you've over-watered. Get a jumpstart on growing your own indoor oasis with her tips. 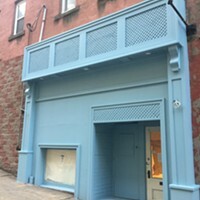 "People should start small and work their way up. It's a lot of trial and error with plants," Morrison advises. This lets you get a feel for what aesthetic you like (highly textured cacti? Clean-lined aloe?) with minimal investment. Bonus: If you do somehow manage to kill a cactus and it was only $10, it's not as much of a loss. Morrison says it's important that plant newbies start with less demanding, tropical varieties until you learn to read the signs of things like soil dryness. 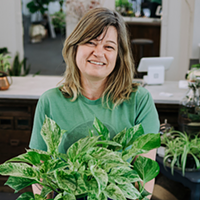 In particular, she suggests spider plants ("they're almost unkilllable"), succulents and pothos plants (AKA devil's ivy). "They kind of get droopy when they need water so it's an easy way to remember, especially for first-time plant people." 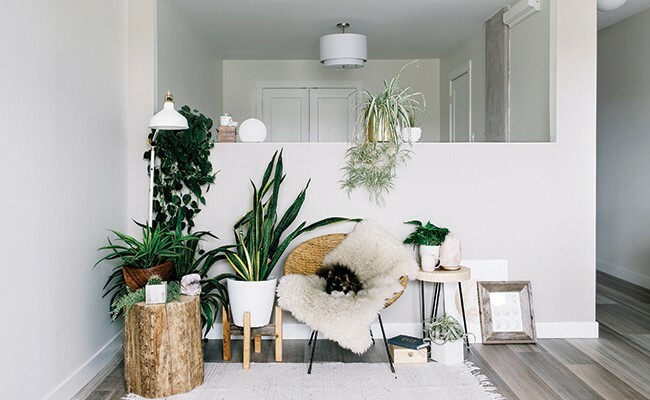 While any type of plant adds texture to a space, there are a few trends in the plant world lately capturing Morrison's heart. Terrariums, which she calls "very Instagramable" are an easy plant trend, as are air plants: "They require no soil, just some water and light." Morrison adds she's also big on macrame plant hangers, which she plans on scattering around her new home. "Plants clean the air. They add a softness," she adds, making a case that no room is done without a dash of green. Ask an expert: How often should I re-pot my plants?